In case you missed the Tussaud-adjacent photo that came out of it, Kim Kardashian met with Donald Trump last week to ask him to pardon a woman named Alice Marie Johnson. Johnson is a 63-year-old grandmother who is currently serving a life sentence in prison for a nonviolent drug-related offense. 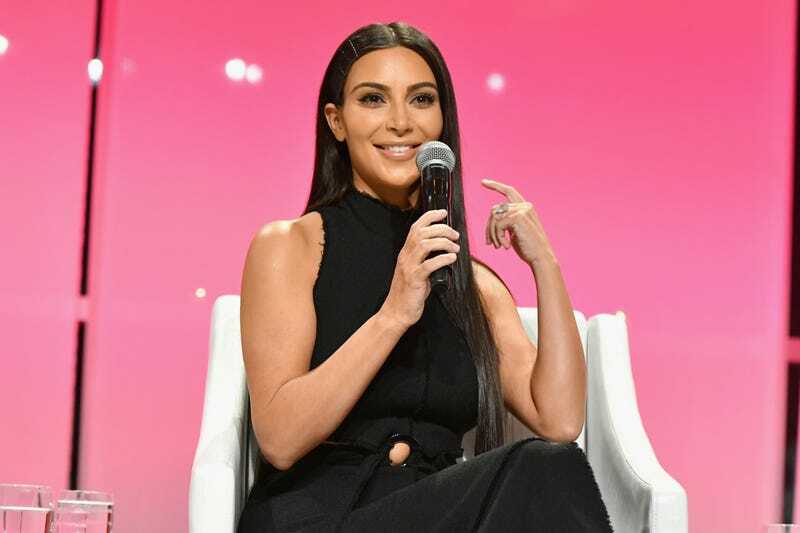 Johnson’s attorney told the Associated Press that the meeting “seemed to go well.” The President echoed those sentiments on Twitter, tweeting, “Great meeting with @KimKardashian today.” In an interview with Mic, Kim said that she felt “hopeful” after her meeting with Trump. “He really understood,” she said. But according to new reports, the meeting did not go well, it wasn’t great, and Trump understood nothing. Bloomberg News reports that Kardashian’s plea for Johnson’s pardon went like a termite that eats corn instead of wood: in one ear and out the other. According to an anonymous source, the President mostly only took the meeting because he thinks publicly associating with Kim and her recently converted Jackson Hole stan account husband Kanye West will help him with black voters (to which Jezebel staff writer Ashley Reese said “it’s not working lol” over one of our Slack channels).